The correct compartmentalization of electrical services and hollows through all the fire sectors is as important as the right perform of the partitio wall or the fire resistant wrought. They should always be done by a specialized company with materials tested in an official laboratory. Doing it wrong could mean the fail of the entire compartmentalization causing the fire to spread faster. 1. What should I compartmentalizate and which fire resistance is it needed?Holes and electrical services (cables, pipes, ducts, vents, etc.). According to the DB-SI, we can exclude penetrations whose passage section does not exceed 50 cm2, always separated more than 3 m of another similar. Fire resistance requested (in general) must be the same as the one required for the gutter. 2. 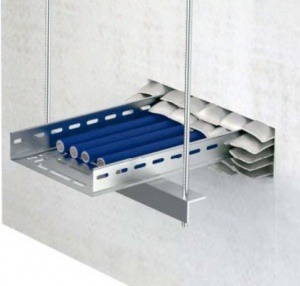 Cables Tray: It is common to plug the hole with high density Rockwool and later coating the tray with rockwool and part of the tray with an ablative cover (which reacts against fire by lowering the temperature). The use of Intumescents bags is not recommended, except where there is a continuous passage of electrical cables. This system requires continuous care and maintenance for its well functioning. 3. Ventilation ducts: Impulsion air and ventilation ducts must have fire-break dampers with the same fire resistance that the gutter. The axis of the gate order corresponding to the gutter should be reviewed carefully and the gaps between the gate and the wall or floor should be correctly done. The extraction they need to continue operating in case of fire must be fire resistant throughout its length when changing the fire sector and tested according to the standard EN 1366-8. 4. 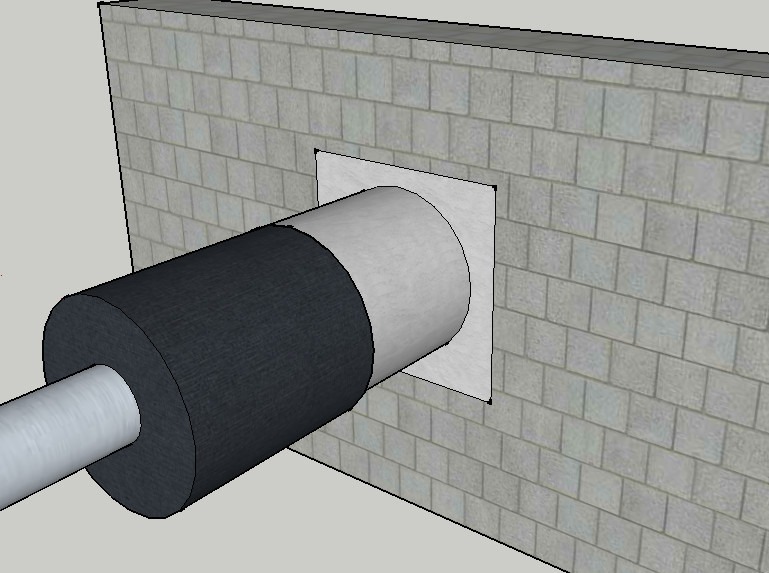 Metal pressurized water conduction pipelines without isolation: The Standards in Industrial Establishments says that they can be closed with usual masonry adjusting the gap, since it is understood that the pressurized water will cool the pipe long enough than the duration of the fire. Although the field of this guideline are industrial establishments, we understand that you can extrapolate it to buildings as the DB-SI says nothing about it. 5. Metal pipes with insulation: At this point, we have to see what type of insulation and what will be their fire behavior. 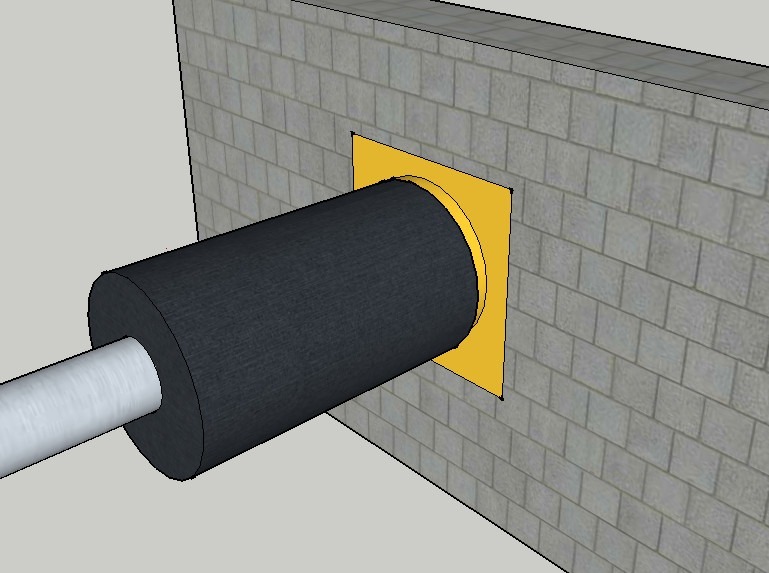 If it is a product that before the fire disappears or even pass on the flame, we cut the insulation in the sealing area and place high density Rockwool and subsequently coated with an ablative coating as we did in the case No. 2. In this procedure we must be exquisite, since a poor execution, apart from not being effective against fire, can produce short-term condensation leaks. Here you can see our solutions for fire resistance.